COLUMBUS, Miss. - - Lamon Stapleton, a Mississippi University for Women senior culinary arts student from Shelby, is the 2017 Southern Grace Scholarship recipient. The scholarship, endowed in 2006 by the MUW Alumni Association in part from the sales of the “Southern Grace”cookbook, is awarded each year to a promising culinary arts student. Stapleton studies culinary arts with an emphasis in culinary management. 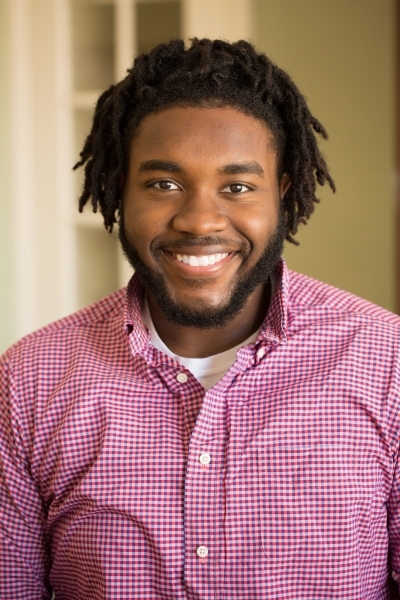 After graduation, he plans to relocate to an area with a thriving hospitality industry and work in upscale restaurants where he can build upon the education he’s received at The W.
“My ultimate goal is to establish a fine dining restaurant with a soul food twist in Las Vegas, Nev., named after my grandmother, Lula,” Stapleton said. In addition to owning his own restaurant, Stapleton hopes to make a difference for future generations by teaching culinary classes to high school students. “We congratulate Lamon on being awarded the Southern Grace Scholarship. We look forward to seeing great things from him in this field,” said MUWAA President Courtney Murtaugh. Outside of the classroom, Stapleton demonstrates leadership through his campus involvement. He currently serves as president of Men of Excellence, a minority-based organization that helps African-American males better themselves professionally, intellectually and educationally through programming and community service projects. Applicants for the Southern Grace Scholarship must have junior or senior hours in the culinary arts department with an overall grade point average of 2.75 and a major GPA of 3.0. Additionally, students must submit a resume’, transcripts, a brief essay and two letters of recommendation.